As most of you would know, there are a lot of other “cyber tasks” (apart from actually writing blog posts) that fill up a busy bloggers day ie visiting other blogs, editing and emailing guest posts ( my first soon to go up at WriteAnything ), researching ideas, cyber networking and leaving comments on other blogs. Anyhow, due to all of the above, and a few other things I will go into in a moment, this week I happily committed (perhaps not a cardinal, but rather just a venial sin) of ‘reposting’ a previous post. After all your readership may have grown over time and what’s wrong with a little resharing of some relevant and perhaps interesting facts about a particular topic? You’d have thought that the weather gods may have had enough fun with us Queenslanders lately (with the recent floods and all) but apparently that was just a test run. For just weeks later a category 5 cyclone, which had the dubious honour of being the most severe cyclone in our country’s history, began approaching off the coast. I don’t wish to turn this post into a news report about the event. I’m sure there have been plenty of them, worldwide. Suffice to say that this second disaster did once again, hit heart and home. Our relatives in North Queensland experienced a horendous night (but are all safe) and are now enduring the second week of living with no electricity and a diminishing city water supply. Hardship and adversity has also hit the many (sugar cane, banana and dairy) farming communities for the second time in just a few years, so these guys are all doing it tough. So please keep them all in yours thoughts and prayers. Thank you. 1) Apart from my own ebook, I also love to write non-fiction. 2) I have written a 50,000 word romance novel (that currently sits at the bottom of my filing cabinet) that one day, I will dust off and send to a publisher! 3) I am always on the lookout for magazine’s and other places, to submit my short stories to. 5) Then, after a few months of back and forth email contact with the magazine’s editor, it was er….non-accepted (with many sincere and genuine apologies from the very lovely editor. I learnt two things from this experience. One was that these people all work in editorial teams and as such, what one says, doesn’t always go. And two, they are very busy people and subject to constant changing circumstances about which content is appropriate to produce and which isn’t. Anyhow, this all leads me to explain why I was so excited to discover a project called #FridayFlash, which as you might have guessed by the hashtag usage, is a fantastic, twitter born, opportunity for writers. Basically, this project involves uploading your own fiction each Friday and participating in the online community of writers bought together by @JMStoth. If you yourself are intersted in joining in with this project you can do so here. Okay, so like me you want to be an author. Correct? For whatever reasons of your own – perhaps it was a childhood dream or it is an unfulfilled wish you now have –whatever the reasons and background, you are now madly and passionately in love with the idea of seeing your book in print (although there are other options, too, which we’ll discuss soon) with a glossy cover and your name on it. I don’t blame you. It is my wish too and I am part way there. I am still learning though and don’t profess to knowing or doing it all, (if I had already put it into practice everything I’ve learnt you would be reading these words on a much more ritzy looking author page!!). I am however, more than happy, to share with you, as I learn. Right now, the publishing industry is going through big changes. Large bricks and mortar stores are closing. Whilst some put this down to the impact of the Global Financial Crisis, there is another phenomenon effecting traditional publishing. It’s called the internet. 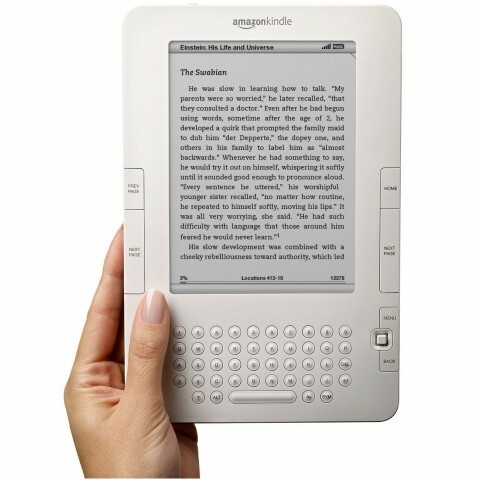 New technologies, such as the Ipad, the Iphone, the Kindle and similar e-reading devices are thriving. Predictions from experts in the field, are that the growth of ebook technology will eventually save the book, but not in its original format. One day not too far away, school children will be using tablets and netbooks, not just in their ‘computer classes’, but as a complete replacement for print textbooks. They will be doing their homework online and emailing it to their teachers. Traditional school classrooms will ‘go global’ and connect with other classes across the world. A big revolution in the way we read and learn is happening and if we want to be authors, it’s a great idea to get on board now and embrace these new technologies. From my own research, one of the most important things for an author using this new technology to do is – start a blog – so, you can tick that one off!! An online presence is important not just for the connections you make and the audience you may begin to develop, but it is also valuable for off line sales as well. It is somewhere to direct a potential buyer or reader to, where they can find out more about you. You can also get feedback from your audience sooner this way and improve as you go. This is probably not new information to you, if you have been blogging for a long time, but I mention it here, to give the newbie bloggers a little nudge and let them know that if they want to be published authors, then they are certainly heading in the right direction with blogging. It gives you a platform to build from and although I am still building that platform myself, I am also learning heaps about writing both online and off, at the same time. As I mentioned in my last post, many bloggers have already turned their passion for blogging into a book. An example of this can be seen here. To make the importance of blogging clearer, here are also a few more examples here and here, of famous authors who yes, still blog everyday. Stay with me now, I’m getting to the good stuff!! I don’t want to miss or skim over any of the options though, so I have decided to make this a two part (at least) series post. Over this 2 part series, I will cover the following three areas. Since my own experience has been with ebook publishing, specifically with www.smashwords.com, I will talk about it first. The ebooks on Smashwords can be read online using our online readers, or they can be downloaded to other reading devices such as the iPhone, iPod Touch, Amazon Kindle, Sony Reader or IRex Iliad, or to other ereading devices. Smashwords also offers generous sampling options to readers so they can try before they buy. Smashwords offers distribution to major online ebook retailers such as Barnes & Noble, Sony, Apple iPad iBookstore, Kobo (and Borders) and the Diesel eBook Store, and to all major smart phone platforms via app providers such as Stanza, Aldiko, Kobo and Word-Player. They also offer free author pages with bios, headshots and lists of works; the industry’s broadest range of sampling options; embedded YouTube videos (I’m working on mine ) for video book trailers and virtual author events; reviews from readers; ebook downloads in multiple ebook formats; a coupon code generator for custom promotions (I’ve used this and it’s great) and more tools in the works. 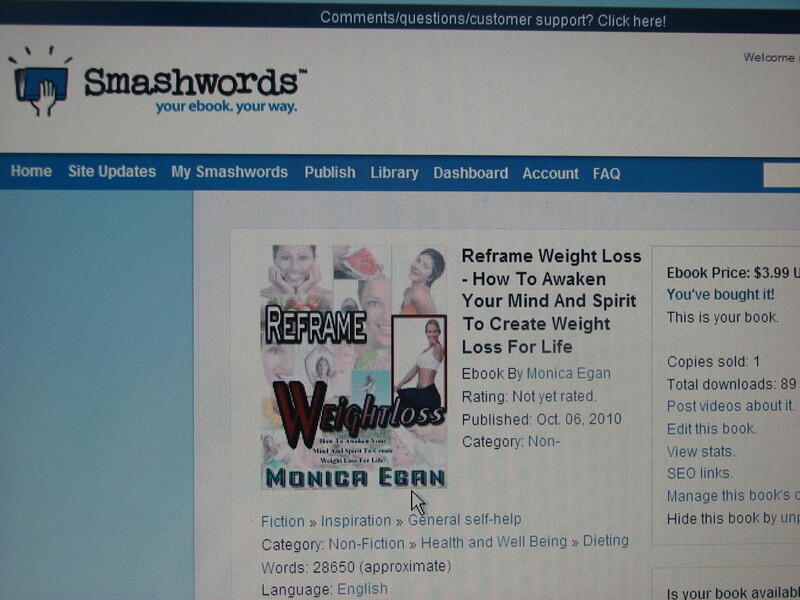 Smashwords does some of the marketing for you but, most of the promotion and marketing is up to you and thus, how many sales you make is also, up to you. In effect, being a Smashwords author is no different in this regard to being a mainstream published author. Although traditional publishers will do some of the work for you, most traditionally published authors find that a large part of the book marketing is up to them. This is why you will find so many of them on Twitter and Facebook. Yes, I’m there too. If you would like to have obtain more information about marketing your Smashwords ebook, then you can do so for free by downloading the Smashwords Book Marketing Guide. I do thoroughly recommend Smashwords, as any easy (if you use their guides) to follow ebook publishing platform. 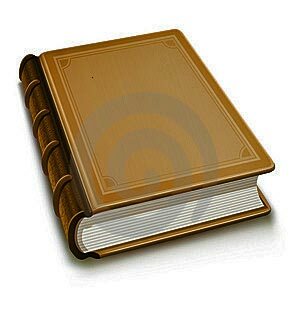 However there are also other options such as www.scribd.com. Part Two of this series…. So that’s about it for Part One of this series on Becoming A First Time Author, Using Web Tools. Stay tuned however…..because I will be back with as much information about the current publishing options open to new authors, as I can find. More links and useful information to come……. And if I was a real clever bunny like Tristan, from The Blogging Bookshelf, I would also work out how to offer you the entire two posts as a download PDF ebook, but I’m not sure if the functionality of this blog allows that. I’ll let you know next time…..
1. I’d love you to !! 2. You can let me know if this information is of any help to you and your endeavours. 3. Even though I don’t have that great plug-in called Comment Luv, you can still link to or mention your own blog or latest post! Have you ever been conflicted? Not sure of where to lay your focus? Feeling committed, but not sure what to? Well as I type this I am feeling that way, too. In recent months (since starting this blog) I have been on a journey of discovery and learning. I have joined and engaged in many social media sites, met some great people online and learnt so much from their perspectives and their work. I have researched and written more this year than ever (most of which has landed here as posts). And I have met you, my readers and from the comments that have been left and the emails sent, I have learnt much about you. And loved it. So what’s all this end of year, reflection about? Well, as I said I am conflicted. All the same, after some thought and consideration, I have come to a decision (at least a temporary one!) that for the next few months (or possibly just weeks) I need to shift my focus. I have a lifetime goal and I need to get working on it. That goal is one of getting my e-book into print and this will require a lot more of my time, energy and focus and as a result I think I will have to give something up. I love writing this blog. Love, love, love it!! Even on days when I don’t receive heaps of comments I always still derive so much pleasure and satisfaction just from completing the task of researching and writing about a topic that I love and am passionate about. However, my print book is calling me!! The images for its design and layout keep popping up in mind! I dream about it. I think about it and I can almost see it on the table in front of me. 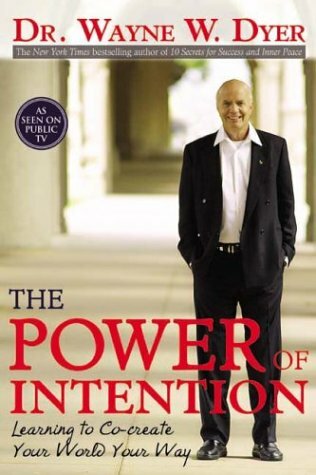 I have always believed that this is where real goal setting begins – in your mind. 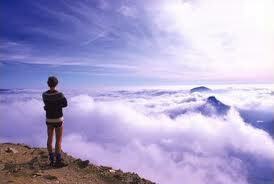 From there, the rest will follow, but as the e-book itself says – IF IT IS TO BE, IT’S UP TO ME! This was my goal setting mantra during my weight loss journey and so now, it is still the same as I aim for my next goal of getting my book into print. So I guess you know where all this is leading. Yes, I am going on a temporary break from writing this blog. I may be back sooner rather than later. Who knows? I guess it all depends on how quickly I move through the mini goals I have currently in front of me (I start with mini goals or tasks and find that this way, I will eventually reach THE BIG GOAL – oh, just remembered – that’s another weight loss tip from my e-book!). I will be popping in and out of the blogosphere all the same, to visit other people’s blogs and see what they’re writing about. I will also still try to participate in ICOMLEAV week, which starts next week, as I have already signed up for that and I am a big believer in committment, so I will stick to that one! Although, I am excited to be working on my print book, I am also happy that I have already achieved another goal of having it available here on the net. By the way, please forgive me, but I may as well give it a plug 🙂 – if you (or anyone you know and love) needs a little extra weight loss inspiration this coming Christmas and New year, don’t forget about my e-book!! It’s only $3.99 !!! Now that is a good price! The print book will cost much more and most copies I believe will be sold off-line, so the e-book alternative is great for social networking users like you and me! Before I close this post, I would also like to take a minute to say thank you. Thank you to all of you for being here, for reading and for your participation and contribution on my blogging journey. God bless, you all. Do you have any lifetime goals you would like to start work on? Not sure when it would be a good time to get started on them? Happy Holidays Everyone and All The Best For Your Own Goal Setting and New Year’s commitments!! As promised today’s post includes a short extract from my e-book. Choosing a section at random, to share here on my blog, however was not as straight forward as I thought. Some sections of the book go into things quite deeply and extensively (and therefore are quite long) so I didn’t really want to choose them, simply because of the difficulty of shortening them and perhaps losing meaning in the process. Other sections caught my eye, but had many references to issues discussed in earlier parts of the book and therefore would not be easily read as ‘a stand alone’ piece. Blog writing and book writing it seems are different. Blog posts shortish and quick (to read), books longish and more absorbing to read. So in the end I have chosen the following extract, taken from the Author’s Note, at the beginning of the book. Once again, it seems strange (to me) to reprint it here, as a ‘stand alone piece’, as there is so much more that follows it. However, here it is anyhow. I will quit judging it and just print it!! 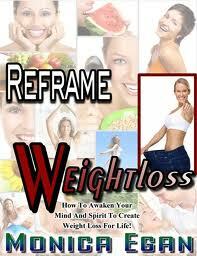 Hope you enjoy this brief introduction to my book, Reframe Weight Loss. …..So often the thoughts people have about weight loss are negative. They think, presume and act as if trying to lose weight will be difficult, slow, hard for them to commit to and so on. With thoughts like these, it’s no wonder so many of us fail! How could you ever be successful at something that you (in your subconscious mind at least) are already committed to not achieving? Believe it or not, that is exactly what many of us do. We’ve failed even before we begin! It’s a fair enough mistake to make however, when we consider that there is such a vast weight-loss ‘industry’ out there, selling and pushing every ‘solution’ from pills and fat-burning agents to detox programs, hypnosis and more. Weight loss must be hard, mustn’t it? Somehow in that great matrix we call society, teams of ‘experts’ have managed to indoctrinate us so much that we now take it as a ‘given’ that losing weight will be a struggle, and worse that we may not get there without the latest pill, potion or new-found method. I believe this thinking to be erroneous! I too was once caught up by such theories, but through a lot of self-education and firsthand experience I have learnt to think differently. I now know that there is a more inspired and freeing weight-loss path to follow, and that weight loss is not just about the physical aspect of yourself. It is also about enhancing and healing the many parts of you that are crying out for you to listen to them. 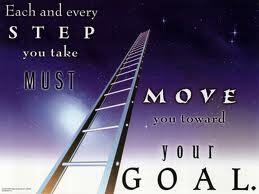 It is about learning, growing, changing and ultimately getting to your goal and staying there…. So that’s it. A short extract, plucked from the pages of a 30,00 word book! As I said, blogging and book writing are different. Throughout a book you have time to engage with you the reader more closely, exploring and expanding on different issues in-depth. In contrast, a blog post doesn’t allow for that kind of engagement. For that reason, I am thinking that I may not share too many more ‘extracts’, although I would love to! Perhaps I could summarise sections instead of simply posting an extract. Mmmm, yes I’ll definitely have to give that some thought!! Okay, so enough of my musings today. I hope this short extract I have shared has opened a small window to the tone and style I have taken in the book. I must say too that I really enjoyed writing Reframe Weight Loss, as it gave me the opportunity to ‘travel the journey’ again, this time through more enlightened eyes!! Oh and before I go I thought I’d share some feedback from a reader who (after my request for her responses to my book) sent me this recommendation the other day, via email. I was so pleased to get Fiona’s feedback and to know that I had achieved what I set out to do, that is to help someone out, on their weight loss journey. I will continue to try to do that and I hope you may also be someone whom I can help.